Constantine's commercial division serves a wide array of corporate retail and hospitality clients. The products in our broadloom and tile lines are world renowned for their quality and sophistication. Constantine's unique product design team combines manufacturing's brightest stars with the design world's most gifted trendsetters. The result is stylish carpet with unmatched performance characteristics. Constantine’s residential division features styles suitable for the full range of modern and traditional homes. From solids to more dramatic pieces, Constantine residential combines the strength and durability of commercial carpet constructions with an expansive color palette to capture the essence of residential carpeting. Constantine manufactures the industry's finest broadloom carpets. Our patented Multiple Yarn Infusion™ (MYI) technology creates the most exciting and complex textures available today while keeping prices competitive.The MYI™ system uses multiple ends of yarn in each needle. In addition to great aesthetics, MYI™ generates exceptionally high tuft densities. As a result, Constantine Broadloom Carpets wear extremely well. Constantine Tile brings unrivaled sophistication and elegance to carpet tile. 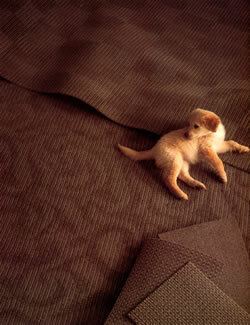 Modular Carpet tile has long been perceived as a commodity. Constantine’s patented Multiple Yarn Infusion™ (MYI) technology has totally reinvented it. MYI™ brings its legendary styling to modular tile while maintaining extremely competitive pricing. In addition to great aesthetics, MYI™ generates exceptionally high tuft densities. As a result, Constantine modular tiles wear extremely well.